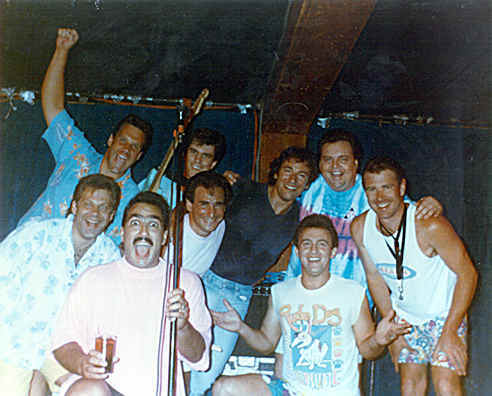 With John Eddie & the Front Street Runners. Set includes the first known Springsteen performance of "Long Tall Sally". With Cats On A Smooth Surface. This was the start of a series of shows which grew in popularity and became well attended. Most of the songs that were performed with Bruce on any given night were either songs the band knew or quickly rehearsed with Bruce backstage at the Pony. He would then join them onstage after the last set at 2:30 AM where he, even at that hour, would put on an amazing show. Truly inspirational and energetic even though at that hour there would usually be thirty or forty people left in the audience (at the earlier jams) before Bruce took the stage. After the third or fourth time that he sat in with Cats, word that he was making regular appearances Sundays at the Pony quickly got out and the regular crowd of about two-hundred people grew to a capacity crowd of over eight-hundred -- and that was every week whether he showed up or not. All local and national media had ongoing blurbs of his jams with Cats but neither the band nor the Stone Pony did any special advertising to exploit the fact that he played with them so regularly. The band felt privileged to have him there with them and would never sour that relationship. With Cats On A Smooth Surface. This date was previously listed as being at the Fast Lane, but the Cats did not play at that venue at this time - they had the Sunday night residency at the Stone Pony. Interestingly, it was a fledgling Bon Jovi band that was the resident artist at the Fast Lane, and he would jokingly complain about the lack of audiences at the Fast Lane on those Sunday nights blaming it on Bruce playing with Cats at the Pony and taking all the crowds from him. Bruce joins Jersey Shore legends Sonny Kenn & The Wild Ideas on stage at the Monmouth County Fair. Performing with The Starfires in 1965, Sonny Kenn even opened for Jerry Lee Lewis. At the time, however, Kenn was working in a musical instrument store in Red Bank by day, before playing with The Wild Ideas in various Shore bars and clubs at night. Before jumping on stage, Bruce watched events at the County Fair, wearing blue jeans, a flannel shirt, and a CAT baseball cap. Songs performed include "Sweet Little Sixteen" and "Land of 1000 Dances". Not long after this performance, Springsteen wrote and recorded "County Fair", perhaps, in part, inspired by this evening. Rock and Roll Hall Of Fame all-star jam. Bruce shares lead vocals on "Long Tall Sally" with John Fogerty, and plays guitar and sings backing vocals on the rest of the songs. Ronnie Mack (born April 18, 1954, Baltimore, MD) is a Los Angeles-based country/roots artist. The wedding reception of Toby Scott (Bruce’s longtime recording engineer/archivist). Bruce joins local Whitefish rock band The Fanatics (hired as the reception entertainment) for several songs, including his only known performance of Sam Cooke's "You Send Me". Bruce guests at a John Fogerty show, with Fogerty telling the crowd that there’s a young, local kid backstage with a guitar that wants to play. The fifth annual Stand Up For Heroes event, in conjunction with The Bob Woodruff Foundation and The New York Comedy Festival. As is traditional, Bruce auctions a guitar with the assistance of Brian Williams and Seth Myers. The hammer drops at $160,000, to include his shirt and harmonica. After picking up a few sign requests, Bruce chooses to go for the only tour performance (and first ever in Australia) of "Long Tall Sally". 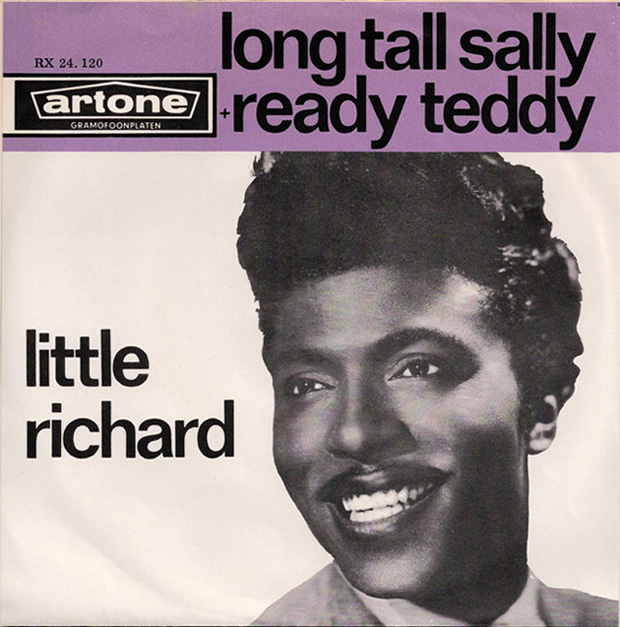 "Long Tall Sally" is a song written by Robert "Bumps" Blackwell, Enotris Johnson, and Little Richard; recorded by Little Richard; and released in March 1956 on the Specialty Records label. The flip side was "Slippin' and Slidin'". The song was originally called "The Thing", recorded in New Orleans by Little Richard. Richard Wayne Penniman (born December 5, 1932, Macon, GA), known by the stage name Little Richard, is an American singer, songwriter, musician, recording artist, and actor, considered key in the transition from rhythm and blues to rock and roll in the 1950s. He was also the first artist to put the funk in the rock and roll beat and contributed significantly to the development of soul music.